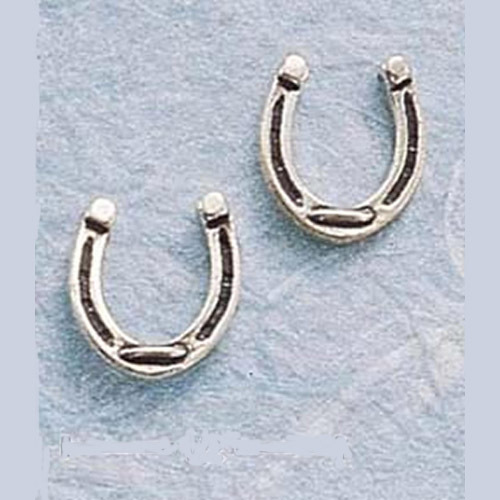 Desc: Sterling Silver horseshoe post earrings. The horseshoes are in great detail to resemble a real horseshoe. The side of the horseshoes where the nail holes are, has light antiquing.